In some situations when we can not visit or take doctor’s advice, we feel hopeless. Especially when such a situation relates to your baby. Well, you don’t have to panic. In such cases, alternative therapies like acupressure or reflexology is a good option. 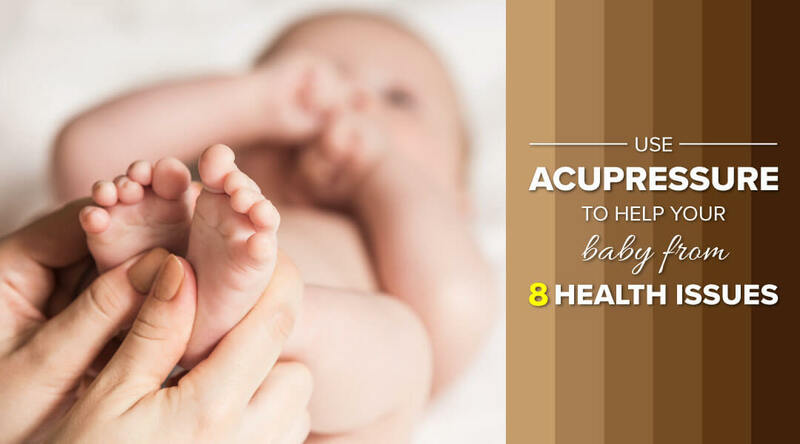 Acupressure points for babies can help to soothe and reduce their pain. Acupressure is an alternative to modern medicine. We all know that our nervous system is connected to different parts of our body. Thus, this connection between the nerves and organs is some of the basis of how acupressure works. Acupressure is one of the therapies in which manual pressure is applied to specific points of our body in order to provide relief. These specific points are called ‘reflex points’. This gives a relaxing sensation which further provides some relief from aches and pains. Different reflex points correspond to different parts of our body. When it comes to taking care of the baby, parents always want the best treatment. But rushing to the doctor for the slightest visible issue is not always possible. 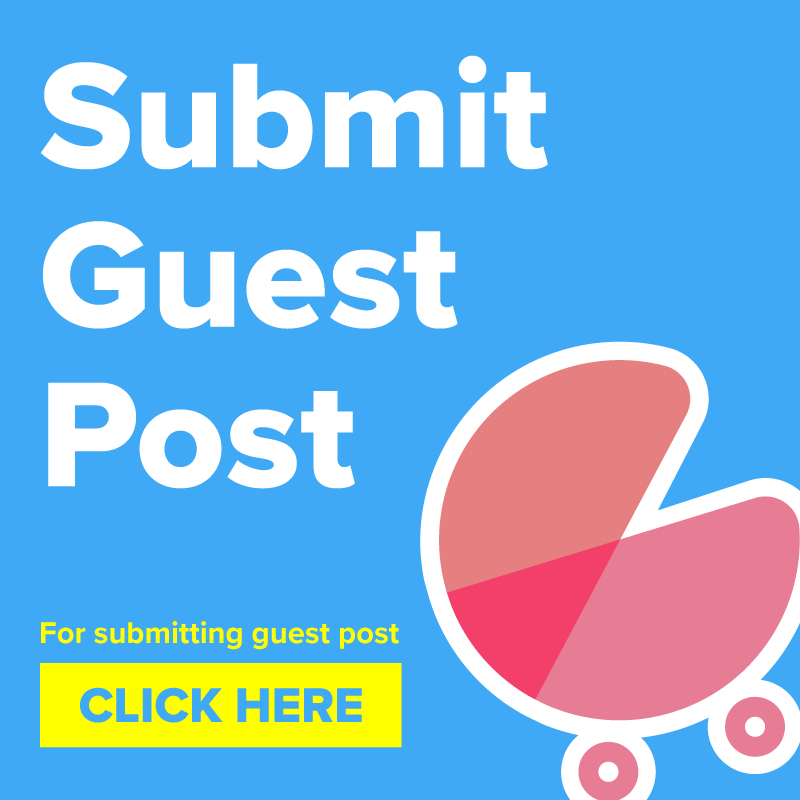 For example – during teething, you know there is no such medicine to completely dissociate the pain. In such cases, acupressure could be an option. 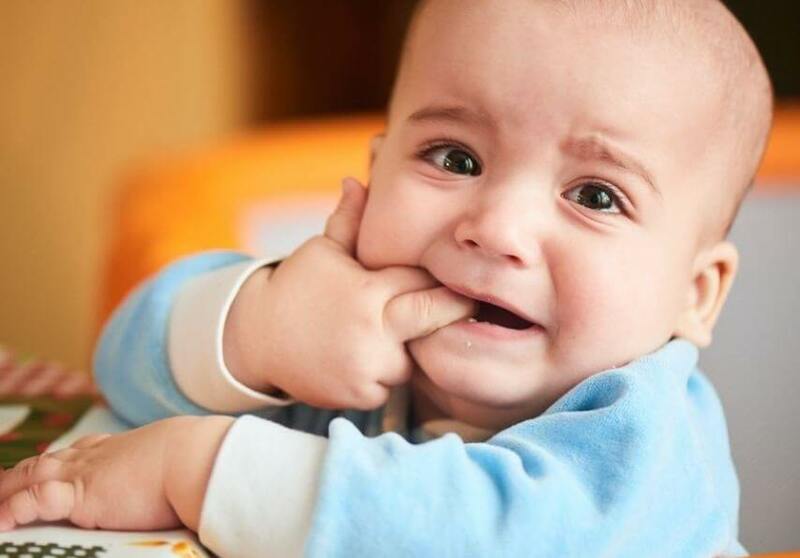 You should not panic when you see your baby in tears. Try soothing your little one by softly singing lullabies for her. With soft hands, gently stroke her palm and feet. This can relax your baby as continuous strokes stimulate reflexes. Since babies have delicate skin, acupressure should be performed cautiously. Do not apply force or be harsh while applying pressure. Always apply gentle pressure or gently press the reflex points. Tap, rub or press the reflex points just for a few seconds with tender grip. As said earlier, there are different reflex points that soothe different ailments. Reflex points: Areas around nostrils, fingertips and tips of the toes. Inflamed blood vessels due to cold, allergy or sinus, in nostrils are the root cause of nasal congestion. Thus massaging the area next to the nostrils can help congestion. Gently stroke your baby’s nostrils with your thumb and index finger. Fingertips and the tips of the toes are other reflex points found on hand and foot. Massaging these reflex points reduce congestion and induce good sleep. Reflex points: Centre of forehead, toes and fingertips. 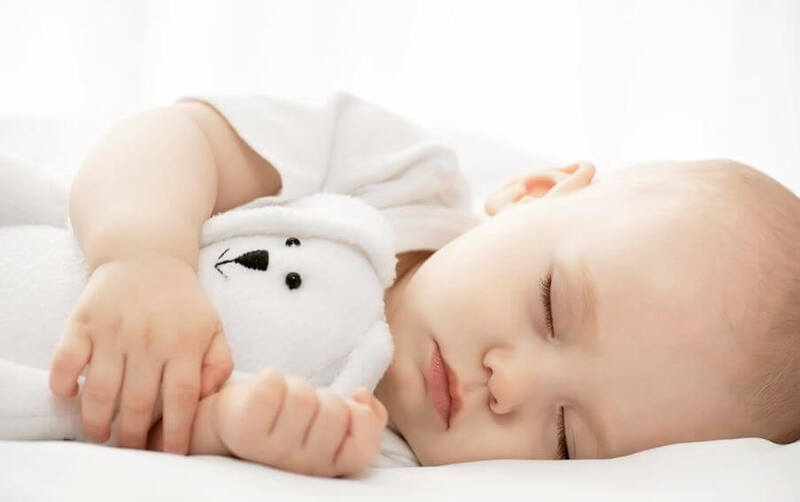 Your baby needs sufficient sleep to attain proper development and better functioning of the body. Massaging the area between your little one’s eyebrows can help induce sleep. This point is known as ‘sleep button’. The toes and fingertips are other reflex points. Adequate sleep is very important for your baby. Massaging these reflex points would let your baby sleep peacefully the whole night. 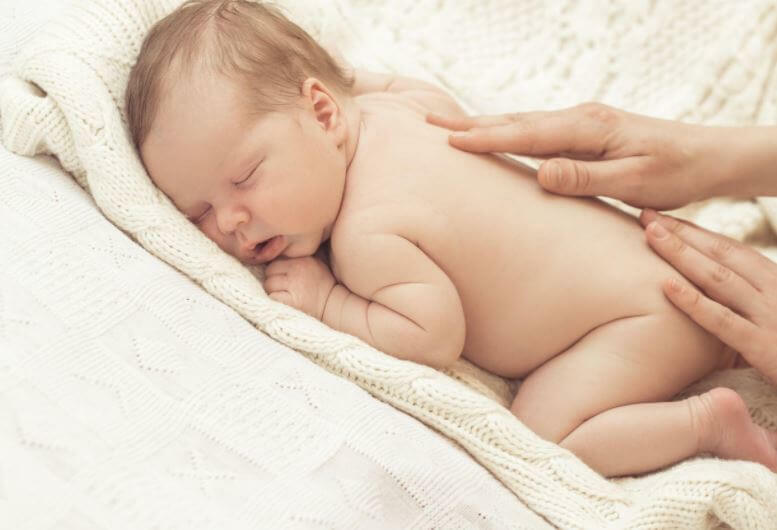 Massaging induces good sleep and rejuvenates your baby’s mood. Reflex points: Centre of foot and palm, around the tummy. Tummy upsets can be a hassle for your baby. 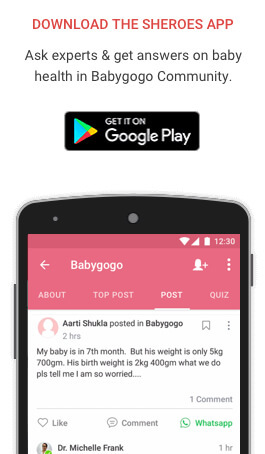 Ensure your baby drinks sufficient water during constipation. Reflex points: On tips of the toes and palm area near the thumb. Reflex points: Baby’s torso region, heels and palm. 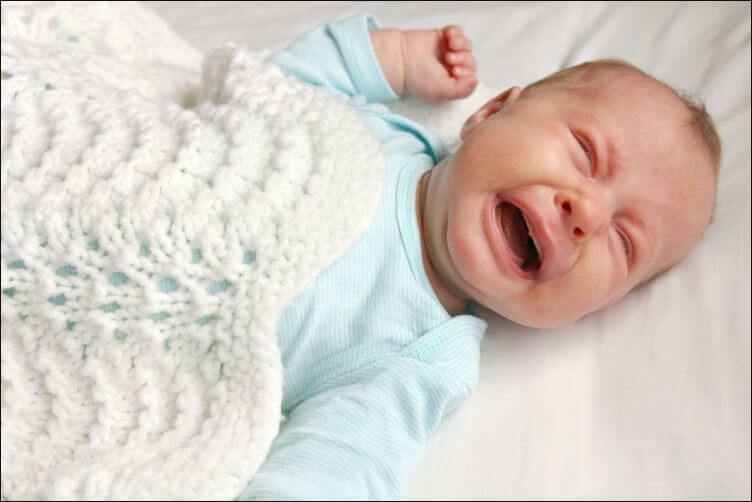 Due to colic problems, your baby becomes cranky and cries for hours which causes irritation. Massaging your baby’s torso with oil or lotion for 5 minutes twice a day can soothe your baby. The heels and lower palm region are other reflex points. Massaging these points can reduce colic, tummy upsets and induce sleep. Reflex points: Area below fingertips and tips of the toes. Rub the area between your baby’s foot and pads of their feet. Press the region below your baby’s fingertips. The reflex points relieve pain and regulate body temperature. Ensure that your baby drinks plenty of liquid during this time. With a wet washcloth gently wipe your baby’s palm and feet. 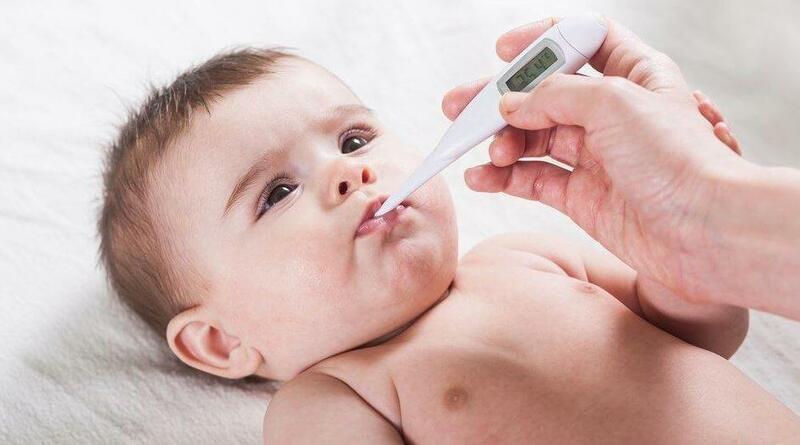 This will help lower your baby’s body temperature. Reflex points: Chest, knuckle areas of hands and feet. A sore throat, cold, flu, fever and congestion can invite cough and vice versa. Massaging your baby’s chest with warm oil can help soothe a cough. The knuckle points on the hand and feet are the reflex points. With gentle pressure massage these reflex points as it can relieve congestion, cough, cold and fever. Reflex points: Palm area, the area below tips of the toes. Applying acupressure on pads of feet and palm area can help soothe your baby’s pain. These reflex points are interconnected to other systems of the body. By pressing these points the corresponding organs stimulate as they receive a signal from the nervous system. As stated before, acupressure is an alternative method. If you notice something serious, do consult your paediatrician beforehand. In the above-mentioned cases, massaging the acupressure points for babies is done as an alternative. Relying only on alternative therapies is not advised. In emergency situations or in cases when you know the pain is temporary, acupressure is a good option. Do share this article with your friends to help them know the do’s and don’ts in such situations.